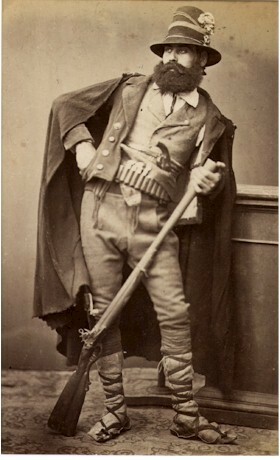 Description: Great image of a mountain man and his trusty blunderbuss. This is the type that defended his territory to the last man standing. Archival mat.